True crime story that is despairing but reaffirms human worth. 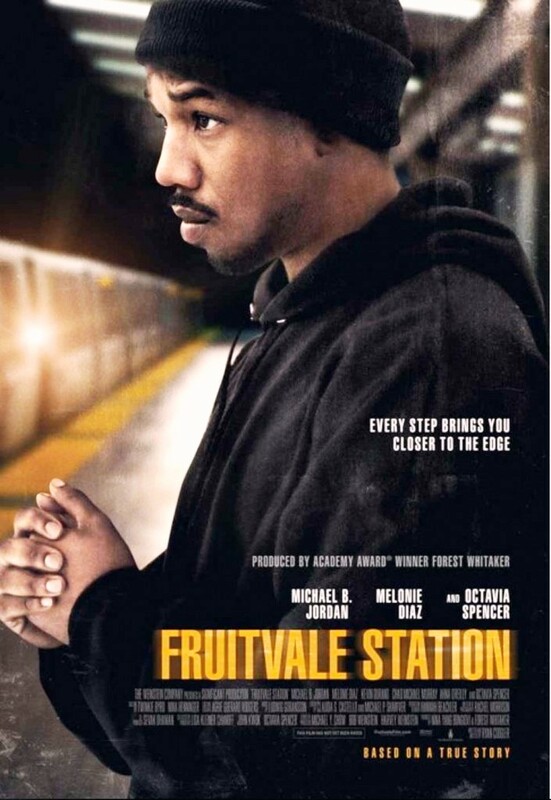 Fruitvale Station is about the fatal shooting of Oscar Grant by a cop at a rail terminal that occurred on December 31, 2008. I know the area up there in Fremont, Hayward, Oakland – it gets the feeling right. The movie puts us in the shoes of Oscar in his final day of life. He has problems, but we feel like with enough opportunities he would have proved himself to be an honorable man. As Oscar, he is played with empathy by Michael B. Jordan. If you recall him, Jordan has demonstrated unexpected maturity in his transition from last year’s “Chronicle” to this impressive docudrama. We wince at the knowing of how Oscar will be struck down. But if it wasn’t about an inevitable shooting, we would still be engaged with Jordan’s take on character. This could be a portrait of any struggling young man, without a job, supporting family, trying to string out what little savings he has. Oscar has lost his grocery market job, and had to resort to drug dealing. He has finally thrown out the drugs because he fears a repeat of his previous prison stint. He is trying to do the right thing. That doesn’t mean he is an angel, in fact, the movie is real enough to suggest he lacks maturity. Oscar is a flirt with women, which upsets his girlfriend (Melonie Diaz, “Hamlet 2”). But the underlying factor is he enjoys being hospitable to others. If he could dispense something helpful to people besides illegal drugs, he would be engaged in that profession. He likes being helpful. His mother (Octavia Spencer) offers to pay for New Year’s Eve dinner, but he won’t have it. One day is enough to understand a life, that’s the power of an effective empathetic film such as this one. We’re on his side. Sure, Oscar hasn’t mastered the art of being a great guy, but he was getting there. We hold onto our breath for those final essential scenes. 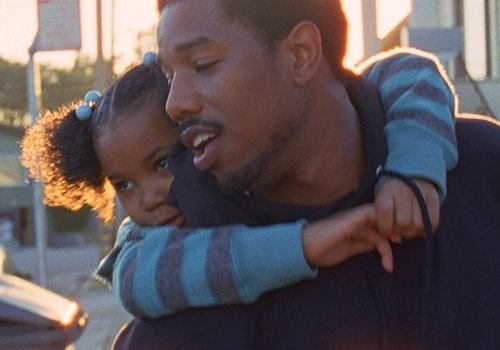 The conclusion is terrifically directed by Ryan Coogler with a no-frills, unshowy re-staging that does it close to real time and crucial detail. The incident is fully understood by us, and even allows us to extend compassion – we observe Oscar’s dignified attempt to bring peace between his friends and the cops. Racism is likely to be seen as a component to the motivation of the shooting, few would disagree. However, if there is one other trait the cops seemed to lack in this incident besides human insight, it was patience. Film Cousins: “Do the Right Thing” (1989); “Laws of Gravity” (1992); “New Jersey Drive” (1995); “Manito” (2003).